I never made it to Deeds, Probates and Wills Courts/Archives while in New York in October. I got "stuck" at the Newburgh Records department for three days, when it should have only taken a couple of hours. ..but I did come away with the photocopy of the 1790 signature of Samuel (W.) Winslow. There is an "X_No Way" through the 23 September 1790 Indenture entry on Priscilla Winslow. There is also a 30 September 1790 Indenture entry for Priscilla for lot 2, and a 30 September 1790 entry for Samuel Winslow for lot 9. The entry in the Glebe Leases (book 1) states Priscilla Winslow (that is Samuel W. Winslow's mother) plead poverty 1 May 1790. I actually stood on the land that Samuel and Priscilla once leased from the Glebe--now that was pretty awesome. Samuel leased the Glebe lot 9 and lot 2 (Priscilla's) is close by--Samuel Winslow (father) lease for lot 2 is dated 1 May 1772. Stephen Longwell "My Longwell Family History"
What a surprise I had on my New York genealogy trip! Instead of connecting my Samuel W. Winslow to the Winslow's of Rombout (still trying to find that Mayflower connection that the "cousins" had passed down to them) I was invited to connect with John Longwell, son of James Nelson Longwell, who had published "My Longwell Family History" in 1993. John had agreed to "look for" the notes that his dad had put together on the Stephen Longwell side of the family. I never expected him to ask me to meet him in Albany to "pass" the treasure of notes to me. So I now possess the notes for My Longwell Family History, branch two--Stephen Longwell by James N. Longwell. I've scanned the two notebooks of family information that covers 9 generations. I have this information available for any Stephen Longwell descents (I'll have to figure out postage cost--it will be on a CD). There are hundreds of pages of information that James Longwell gathered from libraries, books, wills, and Stephen Longwell family members. Regretfully, the information on Samuel W. Winslow isn't correct....but maybe after I have a chance to study the names around my Samuel, I'll have some new leads. A good portion of the original book by his father traces the family descent of David L. Longwell Sr., referred to in the book, as family branch one. What John gave me were the notes for the second book, that was never written, the Stephen Longwell branch of the Longwell family. John still has copies of My Longwell Family History available--he can be reached at JohnCL2@aol.com. If you're interested in the CD copy of the Stephen Longwell notes, contact the BLOG. I got tagged for two memes by Barbara of Our Carroll family Genealogy. In this meme, you're supposed to go to page 161 of the book you're currently reading and list the 6th sentence on that page. Then you tag five other bloggers to do the same. I'll let you guess the book, here's the sentence: "The Dodger sighed again, and resumed his pipe; as did Charley Bates." This meme was started by John Newmark of Transylvanian Dutch. It's purpose is to list your most prolific ancestor. John's great-great-grandfather had 22 children with three wives. He gives you extra credit if you show a screen shot from your family tree program to illustrate your ancestor's feat. My family tree program doesn't have a feature to report a list of how many children each ancestor had, so I'm basically just guess-timating which had the most, and I think that would be my great grandparents Geyer. They had 12 kids, so no, I can't beat that by far! I did have an ancestor (Isaac W. Watson) who had 16 kids, but only 9 were his own, the others were stepchildren. Unfortunately, I can't add a screenshot of the Geyer Family Sheet, because there are still living children of this couple and I wouldn't want to publish their personal information! I've put a new wig on my baby doll twice now-- she's over 50 and deserves to look nice. Her name is Betsy Lou and my parents gave her to me when I was two years old. I took her in to a doll hospital about 7 years ago because I had misplaced her original blue and white pinafore dress and I wanted to display her. The lady who owned the job, said she wasn't of value, but cleaned her up, put on new hair and outfitted her in a beautiful winter outfit. A couple of years later I decided to restore my mother's and grandmother's dolls. Each doll was in pieces and looked like they were beyond repair. Again I was told the dolls were worthless and that I shouldn't bother to fix them up. When I finally had the money to repair them, the doll hospital had closed. A few years later I searched the Internet. I found Debra's Dolls in New Jersey. She did an excellent job in restoring the dolls. I now have three generations of dolls to display. 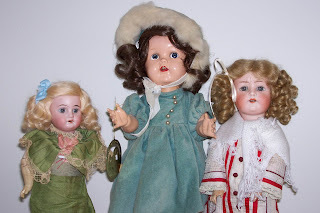 I wish I knew my mother's and grandmother's doll's names, but I never asked--and when mom and grandma were alive, the dolls were just doll pieces in a box. Anyway, grandma Bessie (Ginkens) Bear's doll on the left is an Armand Marseille German Bisque Doll made in Thuringia, Germany, circa 1885-1905 (with original clothing); the doll on the right, Ila (Bear) Geyer's doll, is an Ernst Heubach #312 marked with sunburst and "Kapplesdorf, circa 1920." I'm sure glad that I found Debra. Who are the parents of Samuel W. Winslow?" The answer is Samuel Winslow and Priscilla _____. I still don't have a Mayflower connection, but I'm working on that since so many "on-line cousins" had that information passed down to them for generations. Samuel Winslow, Benjamin Woolsey, Isaac Fowler and Thomas Woolsey names can be found on 1763 documents of Newburgh Precinct. Samuel Winslow, Benjamin Woolsey, Samuel Fowler, Benjamin Fowler, Rev. John Sayre petitioned Governor Colden for a royal charter to establish St. George's Church in the parish of Newburgh. Petition was granted in 1770. You can find Samuel Winslow's name on Glebe documents dated 1772 and 1773. Samuel Winslow and Priscilla ______ are the parents of Samuel W. Winslow, Hannah Winslow, Joseph Winslow and George Winslow. Samuel is deceased by August 1775, and it is our Priscilla that is listed in the Refugees from Long Island to Connecticutt. The children's names are from 1791 Glebe documents. Priscilla, widow of Samuel Winslow plead poverty. I don't know for a fact that Priscilla is Samuel W.'s mother, but Priscilla is left a widow with four small children--so I'm assuming she is the natural mother. If you're looking at the 1790 census for Samuel Winslow in Amenia--it's going to lead you wrong. I've compared notes with a "cousin" and that has to be a different Samuel Winslow (probably a cousin to our Samuel Winslow). This Samuel Winslow is a Quaker and his wife, Mariam Haight is a quaker minister (hence the document you find on-line in Ancestry is not for our Samuel Winslow). This other Samuel Winslow lived in Watertown. I still haven't found our family on the 1790 census. However, in 1800 you can find the family--Ours is a neighbor to mother-in-law Margaret Woolsey (Samuel doesn't come up on 1800 census--but he's there just look up Margaret Woolsey). The other children are there also (daughter Hannah marries Jeremiah Barnhart). I've scheduled another trip to New York this October to look at more of the Glebe and early Newburgh documents. Almost 40 years ago I had an assignment in my 5th period history class to complete a project on “My Family History”. I still have that binder, and it’s that information that Christina and I used to restart this project several years ago. I do have to acknowledge that I probably wouldn’t have gotten an “A” on the project if it hadn’t been for the information that my father’s double-cousin by marriage, Vernon Capps provided. I went on a letter-writing campaign and wrote to many historical and genealogical societies. In fact, I still have the original envelope and response from the Connecticut Historical Society. I was advised that Stephen Longwell had not served in the Revolutionary War, if anything he was a Tory. We’ll that slowed me down. I was super red, white and blue, and wanted to be a Daughter of the American Revolution. Anyway, the documentation that “proves” that Stephen Longwell served in the American Revolutionary War is now on-line. He received a pension from injuries received during the war. Christina even “met” an on-line cousin who had in her genealogy notes that Stephen had complained about pain in his arm after the war. All that’s left for you to do is to complete the DAR application. That’s a major undertaking….you have to provide documentation for each generation. So for those of you in our line save yourself some agony and request approved application 849984. Using my application you will only have to document one or two generations. Last year an injured sea lion was adopted and named in his honor. It was released back to the ocean after it got well (yea, that means I made a donation to the Pacific Marine Mammal Center—an organization supported by the local DAR chapter). I'm now corresponding with the son of the author of “My Longwell Family History.” This book, by David Nelson Longwell follows David Longwell's family, Stephen’s brother. It doesn't have very much on our line, but it is interesting. I reviewed it last year when I visited the Library of Congress. Copies can still be purchased (I've ordered a copy). David Nelson Longwell had planned to write a second volume on Stephen---hopefully we’ll learn something from those “attic records.” I hope to get a copy of them shortly. I've finally gotten around to uploading all the "mystery" photos that we found when we cleaned out my grandfather's closet. If you're family, take a look and let me know if you can identify any. "Mother, Emily, Wesley, Hanna & Ellen"
The picture is of the McGimpsey family. Mother - Eliza McGimpsey " " " "
Daughter - Lizzie McGimpsey " " " "
Daughter - Mary McGimpsey McRoberts " " "
Lizzie was never married and lived most of adult life in Thornburg, was an excellent seamstress and a nice lady and I recall visiting her many times and especially many times when I would go to her home in Thornburg after school and have dinner with her before going to basketball practice in the evening. Catherine was the youngest and married and lived her entire married life in Tucson, Arizona where she and her husband owned and operated a moving and storage business. They had one son and his son is still practicing law in Tucson. Mary was the live wire of the daughters, a fun loving very interesting lady. She was married to John McRoberts and the only child they ever had was born dead. She and John lived in Thornburg most of their married life on a small acreage and kept at least one cow and chickens until very late in her life. 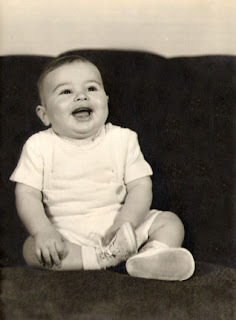 Since I haven't had much (any, really) time for genealogy since the baby was born, my aunt Cherie has agreed to join the blog as a contributor. Her family history research has mostly focused on colonial times and our Winslow, Watson, Longwell, Fleischer, and Jenkins lines. She recently joined DAR and will be posting about that and about her other research findings. The topic for this edition is Surnames. How much do you know about your family name? All the contributors to this edition of the COG have taken a good look at their surnames and will now share them with you. This was a very popular topic and there were lots of articles submitted. So pour yourself a tall glass of iced tea, put on some smooth jazz, and enjoy the ride! I contributed three posts to the Carnival: Surname Research on Ancestry.de, Places named Geyer, and Surname Breakthrough: Bear / Behr / Baehr. The topic for the 29th Edition of the COG will be: Smile or The Camera! We all have them, boxes of family photographs. So, show us your favorite photo(s)! Tell us everything about them. Who or what is the photo of, when was it taken, where was it taken, where did you get it, who was the photographer, why is it one of your favorites? Does it commemorate a special occasion, is it a treasure, a mystery, or is it just plain weird, strange or unusual? Share with us the stories of your favorite pics from your family photo albums. The next edition of the COG will be hosted by footnoteMaven on the footnoteMaven blog. The deadline for submissions will be August 1st, so crack open those photo albums and start blogging! Submit your blog article to the next edition of the Carnival of Genealogy using our carnival submission form. Past posts and future hosts can be found on our blog carnival index page. My paternal grandmother's surname, Bear, was always a bit of a mystery. We knew from my grandmother that her grandfather spoke German, so we could assume that the origin of the surname was German, but Bear is not a German surname. The spelling must have been changed somewhere along the way. Where did it change? What was the original spelling? German surnames that could be interpreted as Bear are numerous. There's Bar, Behr, Bähr/Baehr, Bär/Baer, and Beer to start with. Then you also need to include possibilities like Bayer, Baier, Beyer and Beier. Samuel Lewis Bear was born on October 24, 1825 in Cumberland County, Pennsylvania. On January 6, 1849, he married Mary Rupley in Hampden Township, Cumberland County, PA. They shortly thereafter moved to Peoria, Illinois and later settled in Plano, Appanoose, Iowa. He died on April 6, 1864 in Benicia, Solano County, California, during the Gold Rush. We have no idea who the parents of Samuel Lewis (or Mary Rupley) are. Then, a clue: my aunt recently spent a week with her uncle (my grandmother's brother) John Bear in Missouri and he remembered being told that Bear was at one time spelled with an "H". That would bring the original spelling possibilities down to Behr and Bähr/Baehr. So far, this hasn't led to any breakthroughs, but it's given us a new lead. So how common is Behr and Bähr in Germany? I decided to enter them at the Surname Research Center of Ancestry.de (site is in German). There are approximately 11,696 people with the surname Behr living in Germany now. This is higher than average for a surname in Germany. It is the 628th most common name in Germany and is concentrated in the Hamburg-Harburg-Luneburg area of north Germany, which can be seen as the darker green cluster towards the top of the above map (view the Behr surname distribution results - in German). There are approximately 7,664 people with the surname Bähr living in Germany now. This is also higher than average. It is the 1,002nd most common name in Germany and is concentrated in the Rhein-Neckar and Ortenau areas of southwest Germany (view the Bähr surname distribution map and results - in German). The origin of Behr is Bähr. The origin of Bähr could be from the nickname "Bär" (bear) for a strong and/or courageous person or house, it could have been shortened from a longer surname beginning with "Ber-" (e.g. Berwein), or it could originate from the nickname "Eber" (boar). Back in January, I sent a letter to the rectories associated with what I felt were the three most likely parishes that my great great grandfather, Frank Geyer, could have come from. I picked these three because, after looking in the German white pages, I found that there were a fair number of people with the last name Geyer or Geier, and Freund (his mother's maiden name) living in the parish. These three rectories were: Johannesberg just north of Aschaffenburg (PLZ 63867), Johannisberg in Geisenheim (PLZ 65366) and Fulda-Johannesberg (PLZ 36041). Clicking on the links will take you to the answer received from the rectories. PLZ stands for Postleitzahl, which is the zip code. Well, it's finally occurred to me that I should post the letter that I sent out! I've translated the text after each paragraph. For help with translation, try LEO English-German dictionary or Babel Fish Translation. I also included a 15 Euro donation with each letter. My husband, a native German speaker, helped with the composition of the letter. Er hieß Franciscus Geyer und wurde am 16. April 1862 in Johannesberg, Deutschland geboren. Er wanderte am 23. 09. 1876 zusammen mit der Familie seines Onkels (Bruder der Mutter) Josef Freund aus. Wir wissen, daß die Mutter Maria Anna Geyer geborene Freund 1866 gestorben ist und sein Vater Vitus Geyer (o. Geier) wieder heiratete und in Deutschland blieb. Franciscus hatte eine Schwester (Elisabeth Geyer) und 5 Halbbrüder, die auch in Deutschland blieben. Die Familie ist katholisch. / He was named Franciscus Geyer and was born on April 16, 1862 in Johannesberg, Germany. He emigrated on September 23, 1876 together with the family of his uncle (brother of his mother) Josef Freund. We know that the mother, Maria Anna Geyer nee Freund, died in 1866 and his father, Vitus Geyer (or Geier) remarried and stayed in Germany. Franciscus had a sister (Elisabeth Geyer) and 5 half-brothers, who also stayed in Germany. The family is Catholic. Könnten Sie mir mitteilen, ob Sie es für möglich halten, dass diese Personen in Ihrem Johannesberg gelebt haben? Wenn Sie Verwandte meiner Familie kennen, wäre ich Ihnen dankbar, wenn Sie ihnen meine Adresse geben könnten, damit sie mit mir Kontakt aufnehmen können, falls sie möchten. Ich wäre Ihnen auch dankbar, mir eine Kopie von möglichen Dokumenten mit Informationen zu meiner Familie zuzuschicken. Falls solche Unterlagen nicht in Ihrer Pfarrei sind, könnten Sie mir bitte die Anschrift des zuständigen Archivs mitteilen. / Could you tell me whether you think it is possible that these people lived in your Johannesberg? If you know relatives of my family, I would be grateful if you could give them my address so that they can contact me if they would like. I would also be grateful if you could send me any copies of documents with information on my family. In case these documents are not in your rectory, could you please send me the address of the archives where they are located. Für Ihre Mühen möchte ich mich mit der beiliegenden Spende für Ihre Pfarei bedanken. / For your efforts, I would like to thank your rectory with the enclosed donation. As of July 11, integrating your Feedburner feed into Blogger became a snap. All you need to do is go to your Blogger Dashboard, hit Settings, hit Site Feed, then enter your Feedburner feed address, and hit Save Settings. And voila! You should soon be able to see how many subscribers you really have. I'd also suggest that while you are on your Settings page, you make sure that you are publishing a "Full" feed. It is a big turnoff (for me anyway) to have to leave Google Reader and load the blog to read a whole post. More likely than not, I don't bother unless the title and first few sentences are very catchy, which means that I (and others - I've read this as a common complaint on the "be a better blogger" type blogs) are missing out on your great content! Now if only Blogger would get around to allowing subcategories in labels. We know my ancestors come from Johannesberg, but since every place with a St. Johannes (St. John's) Church could have at some point gone by this name, we've been unable to figure out exactly which town in Germany my ancestors came from. I've heard back from another of the Catholic rectories I wrote to back in January and it's just another Johannesberg eliminated - this time near Aschaffenburg. See my first response (and elimination) here. in unserer Pfarrei sind nur Unterlagen ab 1868 vorhanden. Ich konnte auch keine Unterlagen von später geborenen Halbgeschwistern names Geyer finden. Die Daten von Diözesan-Archiv und Matrikelabteilung in Würzburg lege ich bei. In our parish are only documents dating from 1868. 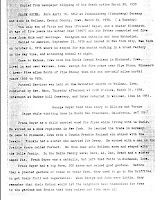 I could also find no documents for half-brothers and -sisters named Geyer born later. I attach the address and opening times of the Diocese Archive and Register Department in Wuerzburg. What does America/Independence Day mean to you? That was the topic answered by the authors featured in the 27th edition of the Carnival of Genealogy, posted July 3 at Kinexxions. Sorry to be so late in getting the announcement up! 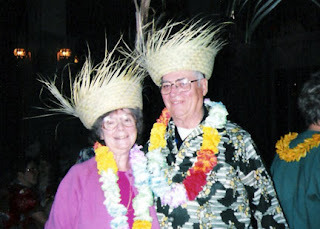 The topic for the next Carnival of Genealogy will be: Surnames! Pick a surname on your tree and tell us about it. What are it's ethnic origins? Has it morphed over time as your family has used it? (or at Ellis Island ;-) What does it mean? Is it common or rare? What are the common misspellings? Any famous people or places with your surname? I've submitted two articles to this one, my visits to two places named Geyer in April and May, and my write up on German surname information at Ancestry.de. Both are a couple months old, but I thought they fit the topic perfectly. On July 5, BallinStadt, Albert Ballin's "Emigrant City" on Veddel Island in the Elbe River in Hamburg, reopened. Albert Ballin was the General Director of BallinStadt, which was constructed between 1898 and 1901, and enlarged in 1906/1907. The newly rebuilt facilities give you a chance to relive the experience of the over 5 million people, who left Germany through the port of Hamburg between 1850 and 1934 to start a new life in the United States. The nicely put together website, available in German and English, gives details on BallinStadt, describes the materials located at the research center there, links to other online emigration records in Europe, and gives links for further research on German ancestors. If you're planning a trip to Hamburg and have German ancestry, sounds like this is a worthwhile stop. It is currently open Monday through Sunday from 10am - 6pm, with last entrance at 5pm. This is the fourth (and for now, final) of a series on the men who make up my paternal line, the first was about my father Harlan Martin Geyer Jr, the second was about my grandfather Harlan Martin Geyer Sr, and the third was about my great grandfather Francis Grant Geyer. Frank Geyer was born Franz Freund on April 16, 1862 in the village of Johannesburg, near Ashaffenberg, Germany. His mother was Maria Anna Freund and his father is not listed in the baptismal record. It is noted on the record that Frank (Franz) was adopted by Vitus Geier upon his marriage to Maria Anna Freund when Frank was two years old. It is possible that Vitus was Frank's father and he and Maria didn't have the money to marry, but the fact that he isn't listed in the baptismal record as the father does cast doubt upon that. 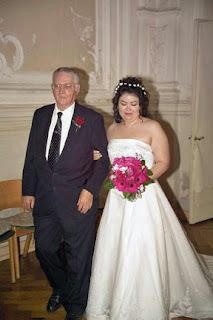 It's not known whether Frank knew of his questionable parentage, but there was no rumor of it among his descendents and it came as quite a surprise when we found out about it in a search of the Catholic archives in Würzburg. Frank's marriage certificate lists his parents as Victova (or Victoria) Geyer and Anna M. Freund. His mother's maiden name was also spelled "Fruiend" by family members, but the proper German spelling would be "Freund". All that is known by us about Vitus Geier is that he worked in a beer brewery and was later killed when he was run over by a beer wagon. After Maria Anna passed away, the story passed down to us is that Vitus remarried and had more children, but no further record of the Geier family was found in the Johannesberg area. There are no Geiers living in the area now, either. Frank's mother died in 1867, when he was five years old. On September 23, 1876, at the age of 14, Frank left his father, sister Elisabeth, step-mother and five half-brothers in Germany to sail to the US with his uncle Josef (later Joseph) Freund. The family is listed as arriving in New York on October 6, 1876 on the ship Main from Bremen, and on the manifest, Frank is listed as nine year old Franz Freund. Family tradition is that he stayed in New York City for six months, working days at a brush factory and attending school at night. His son George Geyer told Vernon Capps in 1967 that Frank worked as a shoe repairman in New York, having learned that trade in Germany. Family tradition also tells that he came with his cousin Frankie Freund to Iowa. In the 1915 Iowa State Census record for Frank, it states that he has been in the United States for 39 years and in Iowa for 34 years, leading to the conclusion that he and Frankie came to Iowa sometime around 1881. On December 25, 1888, Frank married Lucinda Ellen Griffith. Their marriage license is difficult to read, but it appears that they were married at the bride's parents' home in Wellman. The witnesses were H. W. Denker and [illegible]. They were married by Rev. W. Chew. Upon their marriage, Frank changed his religion from Roman Catholic to Methodist Episcopalian. Their son George told Vernon Capps that his father had a big farm, 200 acres and raised good gardens. Before they planted gardens or trees on their farm, they used to go to the Griffiths to get their fruits and vegetables. When George and John were little, they remembered that their mother would let the neighbors help themselves for free to the gardens and fruits that they raised. 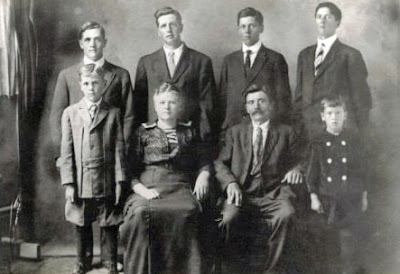 Frank and Lucinda had six sons, Leonard Lawrence (1890-1945), George Everett (1891-1971), Francis Grant (1897-1951), John Walter (1899-1983), Wilbur Griffith (1906-1993), and Harold Wayne (1908-1940). They lived in the Wellman, Washington, Iowa area except for five years spent near Pipestone, Minnesota from 1899 until 1904. 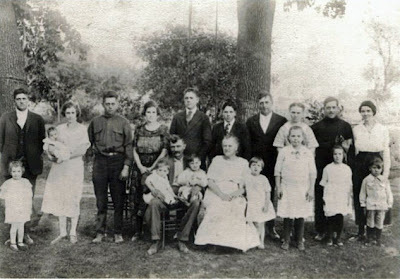 Standing (L to R): John and Margaret Geyer (children Harriott, Elloise), Grant and Grace Geyer, Wilbur Geyer, Harold Geyer, Leonard and Sylvia Geyer (child Leota), George and Jennie Geyer (children Beatrice, George Jr). My grandfather Harlan remembered his grandfather as being a very hard worker. Over 75 years later, he also still remembered the little bit of German his grandfather had taught him, "Eins, zwei, drei," ("one, two, three"). He told us that his grandparents grew everything they could get seeds for and his grandmother filled the basement with preserves. 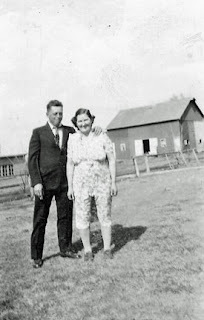 Frank died of either a stroke or a heart attack on March 29, 1938 in his farmyard in Wellman. He was buried in Bunker Hill Cemetery about 3 miles west of Wellman, Washington, Iowa, but was removed to the Wellman Cemetery when Lucinda died in 1951. Wellman -- Mr. Frank Geyer, 75, was found dead in the barnyard of his farm home, three and one-half miles northwest of Wellman, Tuesday afternoon. He had been in failing health for sometime and had been confined to his bed recently. Death is believed to have been caused by a heart attack. 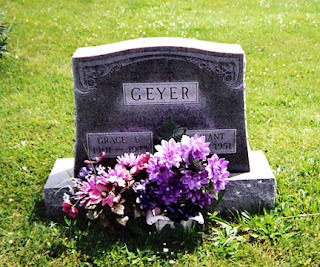 Mr. Geyer was born in Johnsburg, Germany, April 16, 1862, and came to Iowa with an uncle when 13 years old. He lived in the Washington Prairie community for several years and married Miss Lucinda Griffith December 22, 1888. The couple settled on the Wishard farm near Wellman where they lived until moving to their present home, with the exception of five years passed in Minnesota. Surviving are the widow; six sons, Messrs. Leonard and Grant Geyer of Wellman, Wilbur Geyer at home, George Geyer of Scranton, John Geyer of Thornburg and Howard Geyer of near Iowa City; 22 grandchildren, and six great-grandchildren. One sister and five half-brothers in Germany also survive. Funeral services will be held at 2 o'clock tomorrow afternoon in the Wellman Methodist Episcopal church. Burial will be in the Bunker Hill cemetery. Source: "Wellman Man Dies Suddenly," Iowa City Press Citizen 30 Mar 1938, page 9, last column. This is the third of a series on the men who make up my paternal line, the first was about my father Harlan Martin Geyer Jr, the second was about my grandfather Harlan Martin Geyer Sr.
Francis Grant Geyer was born on July 14, 1897 in Wellman, Washington, Iowa. 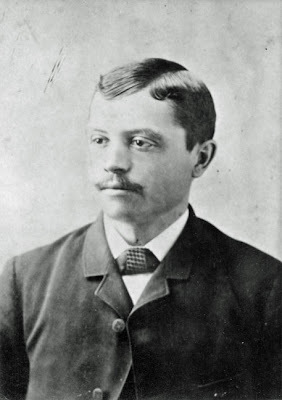 He was the third of six sons born to Frank and Lucinda (Griffith) Geyer. I don't know a great deal about Grant Geyer. It seems that he is one of those "skeletons" that many family members prefer to keep in the closet. He was a heavy drinker and was apparently not the nicest guy around. My grandfather, Harlan Geyer Sr., Grant's oldest child, moved away from home at the age of 12 because he and his father did not get along. My grandfather hardly ever spoke of him. According to the 1915 Iowa State Census, Grant could read and write, had attended nine years of common schooling, and was working as a farmhand. On his World War I Draft Registration Card, recorded on August 24, 1918, Grant is listed as being of medium height and build, with brown hair and eyes and no disabilities. On May 14, 1919, he married Grace Edith McGimpsey in Thornburg, Keokuk, Iowa. The ceremony was witnessed by Mr. and Mrs. John W. Geyer, Grant's younger brother by two years, and was performed by Rev. F. Butterfield. In the 1920 US Federal Census, the newlyweds are living on Grant's father Frank's farm, where Grant is working as a farm laborer. In the 1930 US Federal Census, the family is renting a home in Fairfield, Jefferson, Iowa, and Grant's occupation is listed as a molder in an ironwork. My grandfather confirmed this, telling me that his father was a molder at Malleable Iron Ironworks until 1932 or 1933 when he lost his job because of the Depression. He then worked for awhile in a junk yard, was a farmhand, and finally moved back with his parents, Frank and Lucinda Geyer, to work the farm. Grant and Grace had twelve kids total: my grandfather, Harlan Martin (1920-2006), Doris, Dorothy, Donald Leroy (1924-1979), Calvin, Max H. (1927-1928), Niva Mae, Frances Jean, Lois I. 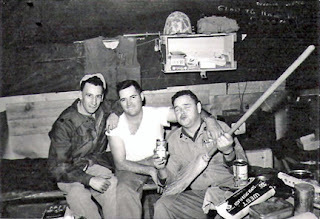 (1933-1956), Larry Dale, LaVerne Everett, and Floyd Eugene (1946-1977). Grant died at the age of 54 on September 19, 1951, at the State University of Iowa Hospital in Iowa City. According to my grandfather, he died of stomach cancer. But on Grant's death certificate, the condition directly leading to death is listed as myocardial infarction (onset: 3 weeks, 8 days), with the added complication of an embolism in his left femoral artery (onset: 3 days). Wellman - Francis Grant Geyer, 54, died Wednesday at University Hospital in Iowa City following a short illness. He was born July 4, 1897 in Washington county, the son of Frank and Lucinda Geyer. He was married to Grace McGimpsey, May 14 1919. He is survived by his widow, four daughters, Mrs. John Allard, Harman Village, Guam, Lois of Wellman, Niva, of Wellman, and WAC Pvt. Dorothy Geyer, of Ft. Lee, Va., and six sons, Harlan, Oceanside, Calif., Donald, Wellman, Calvin, Iowa City, Larry, Wellman, Laverne, Wellman and Francis. Also surviving are his mother, Mrs. Lucinda Geyer, and three brothers, George, Boone, John, of Thornburg, and Wilbur of Oxford. Service will be at the Methodist church in Wellman at 2 p.m. Saturday with the Rev. D. C. Bissinger officiating. Burial will be near Thornburg. The body is at Powell funeral home in Wellman." Source: "Francis Geyer, 54, Dies at U-Hospital After Short Illness," Iowa City Press Citizen 21 Sep 1951, page 11, column 6. It seems relations were so poor between my grandfather Harlan and his parents that it was not until he met the then almost five year old Floyd at his father's funeral that he was even aware that he had a new kid brother. This is the second of a series on the men who make up my paternal line, the first was about my father Harlan Martin Geyer Jr. The year is 1920. It's the era of Prohibition, Babe Ruth has just signed with the Yankees, "Big Bill" Tilden is the first American to win Wimbledon, the US population has reached 117.8 million, and on July 22, my grandfather, Harlan Martin Geyer, Sr., was born in Lime Creek, Iowa. The oldest of twelve children born to Francis Grant and Grace (McGimpsey) Geyer. In history books, we find the Depression associated with the 1930's, but for farmers in Iowa and other rural areas, it hit a decade earlier. During WWI, American farmers heeded the call to produce extra food for American soldiers and the peoples of the war-torn nations of Europe, causing an explosion in the prices of farmland and farm commodities. Both speculators and farmers went deep into debt to buy more land, better equipment, and more livestock. But as the war ended and the farms of Europe once more became productive, prices fell sharply. A bushel of corn that sold for $1.73 in July 1920, sold for only $0.41 a year later. Farmers went bankrupt, banks foreclosed, but with the sharp drop in land value, the banks still couldn't recoup the money they'd loaned and many small rural banks failed. This was the world in which Harlan Geyer grew up. Harlan was raised just north of Wellman, Washington, Iowa. In 1920, his father was a tenant farmer, working rented land to support his quickly growing family. Life was stressful; they had problems making ends meet for a family that grew with the birth of a child every two years. Harlan and his parents didn't get along, and starting at the age of 12, he found himself living first with his great-uncle Grant Griffith, then his uncle Wilbur Geyer. In May 1938, Harlan graduated Wellman High School and along with his diploma, received a Normal Training Certificate. He got a position teaching in a one-room schoolhouse in English River, Iowa, where he taught kindergarten through eighth grade for a year. On December 7, 1941, World War II reached the United States when the Japanese made a surprise attack on the naval base at Pearl Harbor, Hawaii. Young American men enlisted by the thousands to do their part for their country. One of these men was Harlan Geyer. As part of the 2nd Marine Division, Harlan served in three major battles of the Pacific Campaign, Tarawa atoll, Saipan and Tinian. I had a group of radio operators, a group of telephone alignment switchmen, and some message center people, you know, 20 or 30 guys were reporting to me. [They'd] string lines and set up switchboard, operated portable radios. Most of the communicators were [not on the front lines] well, there’s communicators on the front line too, but actually I was in a shore party battalion, mainly they set up on the beach. We weren’t inland fighting the enemy. We come under fire when we landed at Saipan because, you know, the enemy wasn’t that far ahead. And one of my men was killed by a mortar. After the war, he was ready to settle down and start a family. It took him four proposals to four different girls, but eventually he found the right one, his good friend Ila Bear. They were married June 11, 1945 in Camp Lejeune, North Carolina by Navy Chaplain Harold B. Lawson. The ceremony was witnessed by their friends Dorothy Harloff and William Marshall. Harlan looked for work in Moline, Illinois, interviewing for a job at the telephone company, but they wanted him to start out at the bottom of the ladder. This didn't sit well with Harlan, who felt he deserved credit for the four years of wartime communications experience under his belt. Dismayed at his prospects in the civilian workforce, Harlan decided he would make his career as a Marine. For their first year of marriage, Ila lived with her brother John in Moline, where she taught elementary school, while Harlan was sent to school in Missouri. Harlan was soon after stationed at Camp Pendleton and Ila moved with him to Oceanside, California, where they had two children, Harlan Jr. and Cherie. 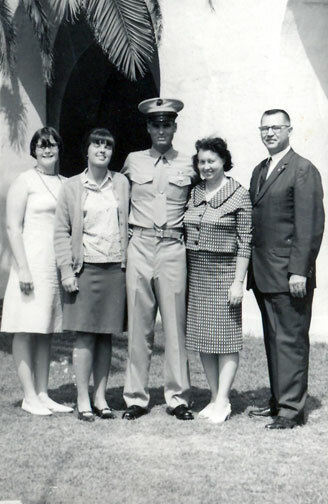 While serving as the supply chief of Base Communications at Camp Pendleton, Harlan went back to school, earning an Associate of Arts degree from Oceanside-Carlsbad College in 1957. My father, Harlan Jr, would tell us that his main memory of his father was of Harlan Sr studying at his desk in the back room of the house. 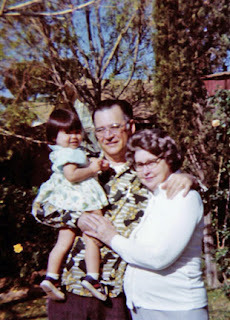 Harlan Sr and Ila were devoted grandparents. After Harlan Jr married and moved to Virginia in 1978, Harlan Sr and Ila decided to move as well, living for several years with Harlan Jr's family in Oak Hill. But as the family grew, the house got crowded and Harlan and Ila moved first to a townhouse in Chantilly, then to a ranch-style house in Herndon. 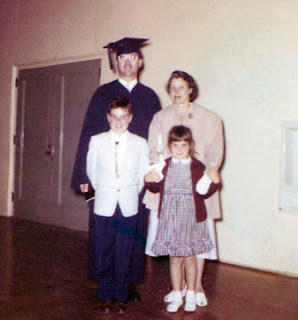 Us grandchildren often spent the weekends at their home, my youngest brother Christian lived with them for some time so he could attend the school near their home. In 1992, after fighting for years against aggressive breast cancer, Ila passed away. Harlan joined a widowers club where he met Mary Bahlmann, who soon became his second wife. Harlan and Mary were active in Civitan and the local bridge club. Harlan often taught craft workshops at the local senior center. They lived happily for many years, until 2001, which ended up being a very tough year for Harlan. Mary had a recurrence of colon cancer and his son, Harlan Jr, was diagnosed with pancreatic cancer. Both passed away during the course of the year. Harlan stepped into the role of father for us grandchildren. Having breakfast at the Reston Silver Diner with his grandsons every Saturday, where even the waitstaff knew him as "Grandpa", and travelling all the way to Berlin, Germany to walk me down the aisle at my wedding in 2003. At the end of 2005, Harlan was diagnosed with esophageal cancer. He passed away on March 24, 2006 at the age of 85. Harlan Martin Geyer, Sr. (Age 85) of Reston, Virginia, died on Friday, March 24, 2006 at Fair Oaks Hospital after a four month battle with esophageal cancer. He was born July 20, 1920 in the town of Wellman, Iowa, to the late Francis Grant and Grace McGimpsey Geyer. Harlan served 20 years in the US Marine Corps, attaining the rank of 1st Sergeant. As a member of the 2nd Marine Division, he took part in the Battle of Tarawa, one of the bloodiest battle of the Pacific in World War II. He also served in the Battles of Saipan and Tinian. On June 11, 1945, he was joined in marriage to Ila I. Bear. After her passing in 1992, he was united in marriage to his second wife, Mary Gallagher Farley Bahlmann, who passed away in 2001. Harlan is survived by three brothers, Calvin, Larry and La Verne; his sisters, Doris Allard, Dorothy Biddle and Niva Nix; his daughter, Cherie Geyer and his grandchildren, Christopher, Christian and Christina Geyer and her husband, Rainer Spang. Harlan also rejoiced in being a loving grandfather to Beth, Patty, Scott and Chris Farley, grandchildren of his second wife. 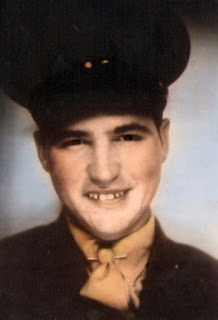 He was preceded in death by his son, Harlan M. Geyer, Jr., of Oak Hill, Virginia. Funeral services for HARLAN M. GEYER will be held at 10 a.m. Saturday, April 1 at ADAMS-GREEN FUNERAL HOME, 721 Elden St., Herndon, VA.
Burial will be at Arlington National Cemetery on Tuesday, April 11 at 10 a.m. Relatives and friends are welcome. Written by Christina Geyer, an abbreviated version appeared in The Washington Post on March 29, 2006. Welcome to this blog that is mainly about the Saami people, my search for cultural identity and learning Saami and Kven history. My childhood in the Norwegian county of Finnmark made me well aware of cultural conflicts as well as racism. As for many others of Saami heritage the demonstrations in Alta in 1980 –81 increased my ethnical and cultural consciousness in spite the fact that everything about "the Saami" was taboo in the geographical area and family I grew up in. My approach towards a Saami identity has been gradual. First accepting that I am of Saami, that was the hardest part because of strong denial in a norwegianised culture and harassment by other people, both by “closet-Saami” (i.e. people that want to hide their Saami heritage) and by non-Saami. Then about 15 years ago I started to gather some information, using the Internet, remembering what my grandparents taught me, and then joined some Saami groups as a passive member. Before you click the link however, be warned that the blog has autoplay music. The music is nice, but if you're at work, you may want to turn your speakers off first! 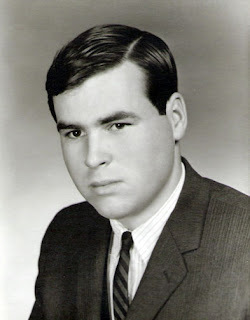 My father, Harlan Martin Geyer, Jr., was born on May 9, 1947 to Harlan Martin Geyer, Sr., and Ila (Bear) Geyer, at the U.S. Naval Hospital in Oceanside, San Diego, California. He was the oldest of two children born to Harlan and Ila, and the only son. He was always very close with his younger sister Cherie. He died on November 2, 2001. From the start, he was a caring person and an animal lover. He was always bringing home stray animals and wild creatures and volunteered with the local church group. Granada Hills - A group of young people of high school and college age, called "SLUPYouth" from the St. Luke Presbyterian Church, 16200 Chatsworth St., Granada Hills, assisted wheelchair and bed patients to attend a Presbyterian worship service at Los Angeles County General Hospital. Nancy Laich, Rhonda Dale, Marna Muenze and Dawn Buell, Chuck Benyei, Ken Hanson and Harlan Geyer Jr., met at the General Hospital for their instructions. The young people were assigned to patients and given instructions by the hospital staff. The service was scheduled for one hour after which the patients were returned to the wards. The young people felt that it was an inspiring and rewarding experience to help these people. Source: "Church Youth Help Hospital Patients at Worship Service," Valley News, Van Nuys, California, 24 June 1966, page 36-A, column 1. Sometime during his first year of college, Harlan decided that he needed to serve his country. Over the strenuous objections of his career Marine father, he enlisted in the Marine Corps. Christina: Is it true that when dad came home and said he volunteered for the Marines that you got in a fight and punched him? Harlan: No I did not punch him, that I know of. Christina: He always said that you were fighting in the front yard and you punched him. Cherie: I remember him crying. Harlan: I was just upset because I figured that I did enough for both of us and when I became convinced that he was determined to go into the Marine Corps, I realized that I had to make a change and I said okay, if you’ve gotta go, I’m taking the day off and I’ll take you down myself. So I took him. And when the recruiting sergeant called me, wanted to talk to me, and I told him to go to hell. And he said that he was supposed to pick him up at 5 o’clock in the morning or something like that and I said, well, if you do you’re a dead man. But then Junior come home and he was so uptight about wanting to be a Marine that I decided that the best thing for me to do was to change my attitude and support my son. Christina: Did he say why he wanted to be a Marine so much? Harlan: He wanted to be like me. Harlan served from 15 June 1966 until 1 March 1969. Over this time period, he was awarded the National Defense Service Medal, the Vietnam Campaign Medal with device, Meritorious Mast, Presidential Unit Citation, Vietnam Service Medal with three stars, Combat Action Ribbon and the Good Conduct Medal. His combat history included counterinsurgency operations and participation in the operations De Soto, Kentucky, Osceola, Lancaster, Dye Marker, Scotland and Napoleon. He was a member of HMM-163, MAG-36, 1stMAW. A Marine rifle company in Vietnam will shortly display a California State Flag through the efforts of State Sen. Tom Carrell of San Fernando. 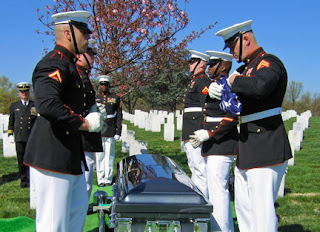 The flag was sent to Marine Pfc. Harlan Geyer, a Mission Hills resident, at the request of his mother, Mrs. Harlan M. Geyer, Sr., 10882 Arleta Ave., who wrote to the Senator and told him that her son, a native Californian, had requested one. Accompanying the flag, Sen. Carrell sent a certificate attesting to the fact that the flag has been flown over the State Capitol in Sacramento. In a cover letter to the Marine, the San Fernando Valley solon declared, "We will be proud to have it flown over your company in Vietnam." Source: State Flag Sent to Valley Marine on Vietnam Duty, Valley News, Van Nuys, California, 9 Apr 1967, page 2-A, column 5. After the Marines, Harlan finished college, getting a degree in Accounting, and began working as an Auditor for the Department of Defense Inspector General's Office. As part of his job, he spent long periods overseas investigating the books of U.S. military bases around the world. 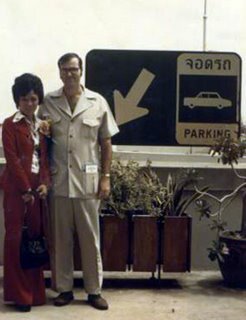 In 1973, he was sent to investigate a base in Thailand and was assigned to work with a beautiful Thai bookkeeper, my mother, Unchalee. They married in Bangkok on 10 June 1974, and had a second ceremony on 18 June 1974 at the Candlelight Wedding Chapel in Las Vegas, Nevada. 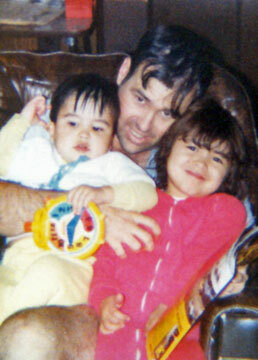 About nine months later, I was born and was always Daddy's Girl. 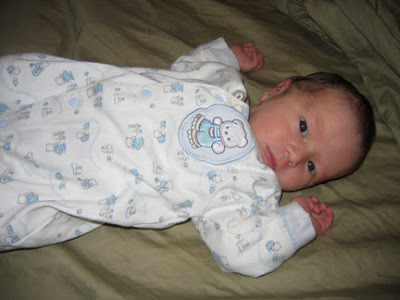 Three and six years later, respectively, my brothers Christopher and Christian were born. My dad was my best friend and I still miss him a lot, especially our long talks. He totally got me and at least for me, finding someone who gets you is a big deal. He was an avid gardener and loved clematises, planting them wherever he could. The yard in Virginia was filled with bird feeders and bird baths, he even put dog food out in the woods for the local foxes (whether or not this was a good idea, I don't know, but the neighbors have taken up doing it now). He read everything he could get his hands on, even the first three Harry Potter novels, and was a WWII history buff. His basement office was filled from floor to ceiling with tank, plane, and battleship models he planned to build after retirement. He was the undisputed, undefeated family trivial pursuit champion. None of us had any chance to beat him, even when we all played together against him (I've since taken the role of champion on). After a 10 month fight against pancreatic cancer, he died at the age of 54. He never got to see me get married or know that Rainer is the guy that I'd end up with. I never got to hear the excitement he would have had to know that I'm now pregnant with his first grandchild. But at least I got the time with him that I did. I often have to remind myself that some people never get to know their dads. He did meet Rainer once, however. The summer before he passed away, Rainer came up for a family dinner. He brought a bottle of good Riesling, and although my dad hadn't had any appetite for months, he ate the dinner and drank a glass of wine. 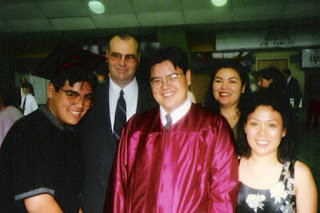 I really wish Rainer had been able to get to know my dad better, cause I think my dad was a pretty special guy. You could always depend on him for whatever you needed, whether it was a laugh when you were sad, a talk when you were lonely, or being picked up from college in the middle of the night cause you were homesick. People may have wondered why I never wrote anything for the 5th anniversary of September 11. That was because I spent most of the day on the phone with my dad, so my memory of 9-11 is tied to the memory of my dad, and it's still tough for me to think about. He worked in a building across the parking lot from the Pentagon. Although he'd been home for months, sick from cancer, he worried that some of his friends might have been in the section destroyed by the terrorists. He stayed on the phone much of the morning making sure that his people were all okay. It ends up that one very old friend of his was in the Pentagon, but luckily not in the affected section. He also comforted his secretary. Her aunt was a secretary in the section hit. After a few worried hours, they found out that she was not in her office at the time and survived unscathed. 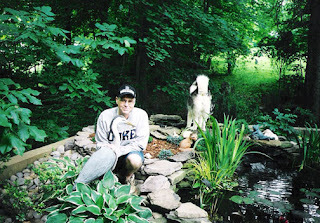 Harlan entered the Hospice of Northern Virginia the night before he died. The hospice staff told us that no one had ever had as many visitors as my dad. He was loved by everyone who knew him and his friends and coworkers made a constant stream of visitors on his last day. They told us that the secretaries had worked out a visiting schedule and people came over from his office and the Pentagon in carloads of five and six at a time to say goodbye. I remember standing outside his room and crying with dozens of his male and female coworkers alike. I don't know why, but it's unbelievably heartbreaking to see 50 year old men, many of them former or current military men, breaking down into sobs. On that last day, he was also presented with the Distinguished Civilian Service Award. It is the highest civilian honor the Defense Department awards. He stayed aware of what was going on almost to the very end and was very proud when they came for the ceremony. He died in the evening with his family surrounding him. I was holding his hand. 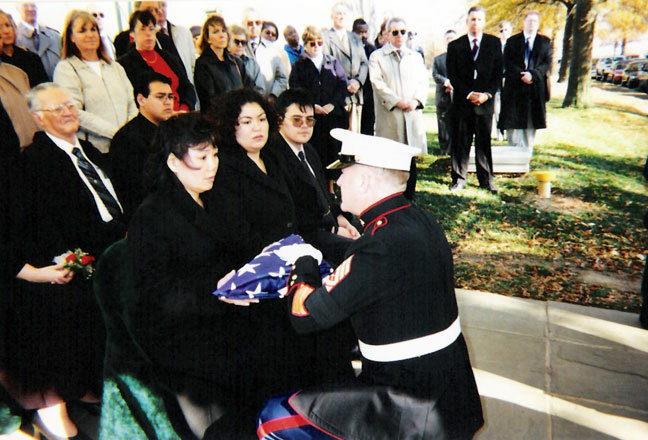 Harlan M. Geyer Jr. - Of Oak Hill, VA. On Friday, November 2, 2001 at Hospice of Arlington. 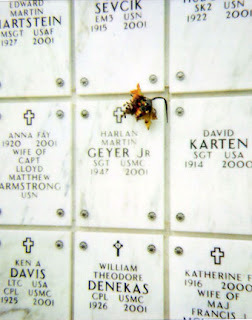 Beloved husband of Unchalee Geyer; father of Christina Lynn Geyer of Durham, NC, Christopher Eugene and Christian Alan Geyer, both of Richmond, VA; son of Harlan M. Geyer of Reston, VA; brother of Cherie Ann Geyer of Aliso Viejo, CA. Mr. Geyer was a Marine Combat Veteran of Vietnam and awarded the Distinguished Civilian Service Award. Service will be held on Sunday, November 4 at 1:30 p.m. until 4:30 p.m. at ADAMS-GREEN FUNERAL HOME, 721 Elden St, Herndon, VA. A graveside service will also be held at Arlington National Cemetery Columbarium on Tuesday, November 20 at 1 p.m. (Please assemble at 12:30 p.m. at the Administration Building). In lieu of flowers, memorials may be made in his name to Hospice of Northern Virginia or the American Cancer Society. Source: Harlan M. Geyer, Jr., obituary, The Washington Post, 3 Nov 2001. 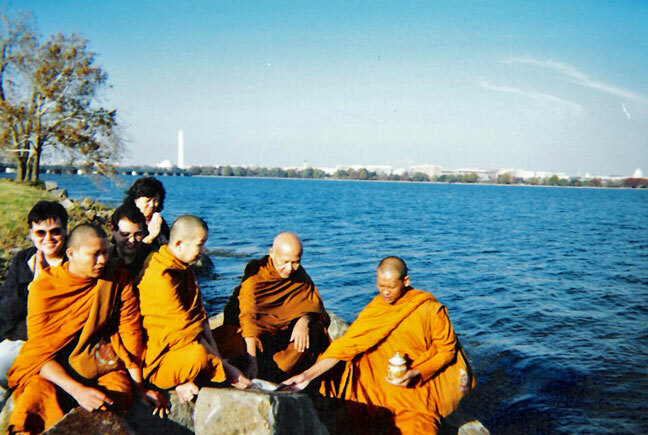 Featured in the NEHGS eNews Vol. 9, No. 24, Whole #324, May 30, 2007, Edited by Michael J. Leclerc and Valerie Beaudrault, is a question about Massachusetts State Prison Inmate Edward K. Geyer, born ca. 1827 in Maine. As far as I know, I'm not related to Edward Geyer (except perhaps sharing distant ancestors, somewhere back in Germany). My 2nd-great grandfather Frank Geyer did not arrive in America until 1876. The 1860 United States Federal Census lists Edward K. Geyer, born about 1827- Maine, Residence 1860 – Charlestown, Middlesex, Massachusetts on page 6 as an Inmate of the State Prison. Do you know if any of the prison records are still available and, if so, how would I go about locating them? The Massachusetts State Archives has the microfilm of the Charlestown State Prison for 1805–1930. These were microfilmed by the Family History Library in 1994. You can also borrow these from NEHGS, or your local FHL Library. Indexes (items 1-7) 1805–1930 Entries of convicts (items 8-9) 1805-1824 Commitment register (item 10) 1818–1840 (FHL US/CAN Film # 1977970); Commitment registers 1840-1882 (FHL US/CAN Film # 1977971); Commitment registers 1882–1930 (FHL US/CAN Film # 1977972); Warden's memorandum of prisoners 1858–1902, and recommitment register 1805–1831 (FHL US/CAN Film # 1977973 Items 1-2). NEHGS does not own a copy of these microfilms. We do have a related item in our archives: a leather-bound volume with handwritten record of the medical treatment provided to inmates at the Massachusetts State Prison in Charlestown. End sheet has "Robert Clark Esqr Records commencing Jan 1816". Most entries just list the date, surname and treatment although a few provide more detail. R. Stanton Avery Special Collections Department, Call Number # Mss 538. David Allen Lambert is the Society’s Online Genealogist. If you would like to ask him a question, contact him at onlinegenealogist@nehgs.org or visit his blog at www.davidlambertblog.com. For more information about the Online Genealogist visit www.newenglandancestors.org/research/main/online_genealogist.asp. Please note that he will make every effort to reply to each message, but will respond on a first-come, first-served basis. The only son of Vitis and Mary (Fruiend) Geyer, and a sister Elizabeth. At age of five years his mother died (1867) and his father remarried and five sons from this next marriage. Religion was Catholic and then Methodist. Sailed to America, September 23, 1876 and landed in New York City, New York on October 6, 1876 where he stayed for six months working in a brush factory in the day time, and attending school at night. Came to Kalona, Iowa with his Uncle Joseph Fruiend in Richmond, Iowa. Lived in and near Wellman, Iowa, except for five years near Pipe Stone, Minnesota ( Area- Five miles South of Pipe Stone; then six and one-half miles north) years 1899 to 1904. Funeral Services was held at the Methodist Church in Wellman, Iowa. Conducted by Rev. 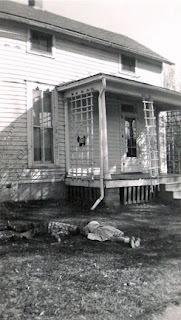 Hann, Thursday afternoon at 2:00 O'clock, March 31, 1938. Interment at Bunker hill Cemetery, and later reburied in Wellman, Iowa in 1951. - George Geyer told this story to Elloise and Vernon Capps while visiting them in South San Francisco, California. Oct, 1967. Frank Geyer as a child carried wood for fires while living with is Uncle. He worked as a shoe repairman in New York. He learned the trade in Germany. He came to Richmond, Iowa with a Cousin Frankie Fruiend who stayed with the Deweys. Frankie had a sister who married Joe Dewey. He worked with a man on the Prairie there called Custard. He then came into Wellman area and stayed with the Bulls family. In the Bulls family were; Dave, Al, Dan, Grant and a sister named Sis. Frank Geyer was a catholic, but left that faith in Richmond, Iowa. Frank Geyer had a big farm, 200 acres and raised good gardens. Before they planted gardens or trees on their farm, they used to go to the Griffiths to get their fruits and vegetables. When George and John were little, they remember that their Mother would let the neighbors help themselves for free to the gardens and fruits that they raised and took care of. 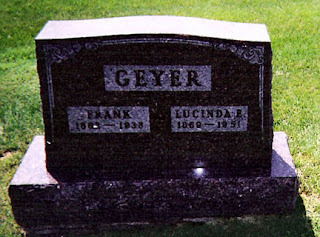 Frank and Lucinda Geyer were my 2nd great grandparents. Frank was born Franciscus R. Geyer on Apr 16, 1862 in Johannesburg, Germany, and died of a stroke on March 29, 1938 in Wellman, Washington, Iowa. On Dec 22, 1888 he married Lucinda Ellen Griffith, who was born on Oct 16, 1869 in Wellman, Washington, Iowa, and died on Oct 2, 1951 in Washington, Washington, Iowa. Henry James McGimpsey was born on Oct 13, 1829 in Newtownards, County Down, Ireland, and died on Nov 14, 1907 in Thornburg, Keokuk, Iowa. On May 6, 1862 he married Eliza Hamilton, who was born on June 8, 1829 in Newtownards, County Down, Ireland, and died on Oct 28, 1866 in Rock Island, Rock Island, Illinois. 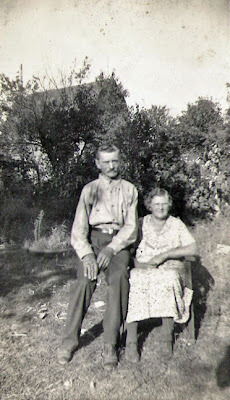 They are my 3rd great-grandparents. On Jan 2, 1868, he married his second wife, Eliza McLean, who was born Mar 4, 1832 in Ireland and died on July 3, 1916 in Thornburg, Keokuk, Iowa. William James McGimpsey was the son of Henry and Eliza (Hamilton) McGimpsey. 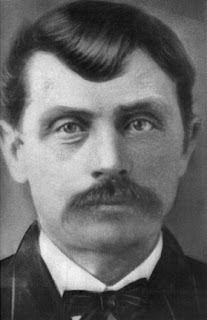 He was born Jan 13, 1863 in Rock Island, Rock Island, Illinois, and died Oct 20, 1920 in Prairie, Keokuk, Iowa, from an accidental self-inflicted gunshot wound (he was shooting rats at the time). On Dec 22, 1892, he married Jane M. Moore, who was born Dec 12, 1866 in Thornburg, Keokuk, Iowa, and died there of a stroke on Apr 6, 1938. They were my 2nd great-grandparents.